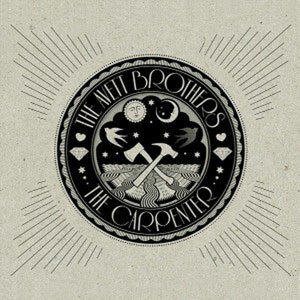 the avett borthers new album. i went to their concert with my good friend allie in january 2011. the concert was a few weeks after my dad was told there was slight tumor growth in his brain, and there was likely nothing they could do about it. he did go on more chemotherapy, but the growth continued to grow, until it took him that july. forever I will move like the world that turns beneath me/and when i lose my direction i’ll look up to the sky/and when the black cloak drags upon the ground/i’ll be ready to surrender, and remember/well we’re all in this together/if i live the life i’m given, i wont be scared to die. it reminded me of my dad, of his life. he lived fully the life he was given, especially in the last months. and he really wasn’t scared to die. the song provided me some comfort. i love the life my dad lived. i was so excited for this album to be released, so i would no longer just have to look at videos of this song on youtube that people posted from concerts! the other song on the album i can’t get out of my head = life. go listen to it!